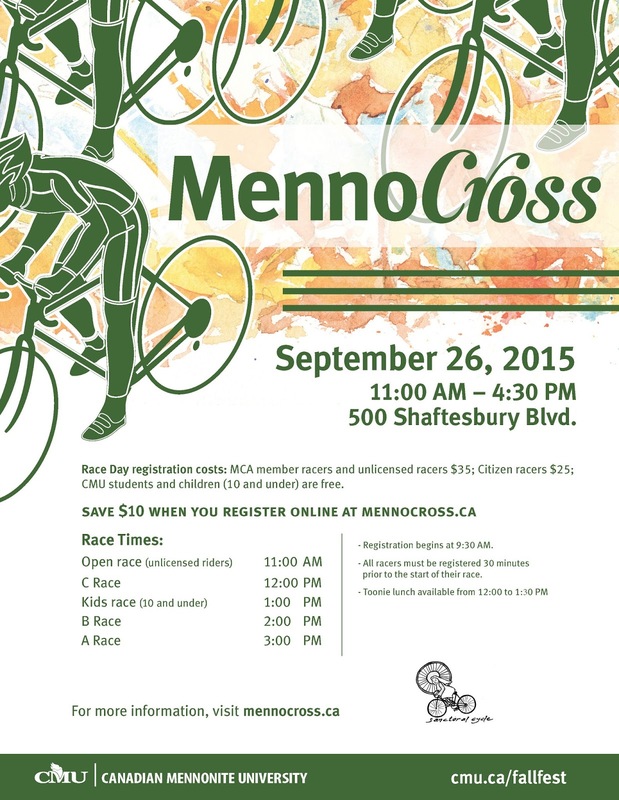 You can now register for MennoCross 2016! Preregister and save $5 (and make the lives of the organizers easier)! Thanks to the many volunteers who helped with this year's event. Heat, crazy wind, and one of the largest (if not the largest) turnouts made for a fun day of racing. View the official results here. This just in: Racers in the U17 and younger categories can enjoy a $10 savings off the regular online registration fee. Register online and save $10 off the walk-up fee! All racers must be registered 30 minutes prior to the start of their race. A toonie lunch available from 12:00–1:30 PM as part of CMU's Fall Festival. With the new timing system we have the ability to do some fun things, like find out who had the fastest lap - so we will be doing a fastest lap prime for each of the A, B and C races! 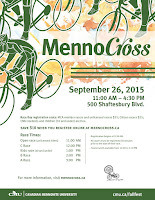 Go to Bike Reg and get signed up for the awesomeness that is MennoCross! 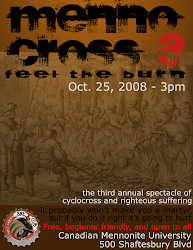 Cyclocross is a form of bicycle racing that consists of many laps of a short course that features a variety of terrains and obstacles. 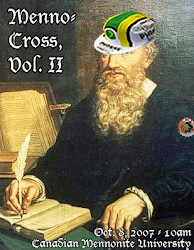 Just like the Mennonites, cyclocross originated in the low countries of Belgium and the Netherlands. 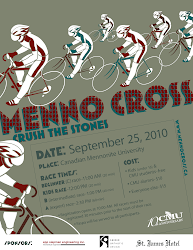 So it is only fitting that there is an annual cyclocross race at Canadian Mennonite University called MennoCross. 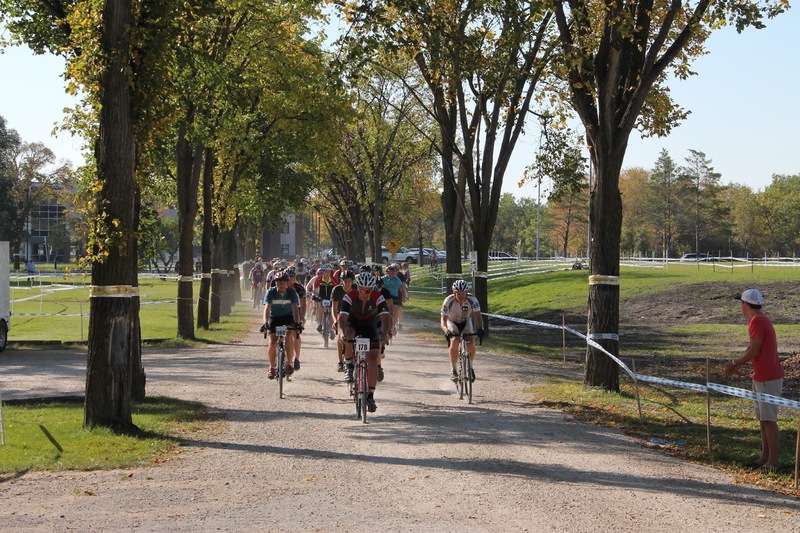 What began in 2006 as a fun, informal race with Prof. Chris Huebner and some of his friends has grown to become one of the biggest races in the Manitoba Cycling Association's cyclocross season. 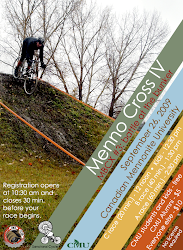 Come and discover why some people have called MennoCross one of the most fun and memorable sporting events they've ever participated in.